Home / tv / How does MBC make money? How does MBC make money? The Middle East Broadcasting Center (MBC) is a Saudi-run company broadcasting a mix of free-to-air news and entertainment channels via satellite. It was launched on September 18, 1991 as the Middle East Broadcasting Corporation, initially broadcasting from London in the United Kingdom. Since 2002, its headquarters have been in Dubai Media City, United Arab Emirates. So now you all know what MBC is. So now I raise the question - How do they make money? There is rarely any adverts on the channels - they just advertise their own programming in the commercial breaks. Occasionally Coca Cola will run an advert, but not very frequently, and I've been watching closely lately during prime time in the evenings and have failed to see a single commercial. Not one. How does a broadcasting company continue to operate with no advertising income? The network is rumoured to be owned by the Saudi Royal family, but again, why burn money on something that just isn't generating any cash, and broadcasts in English? 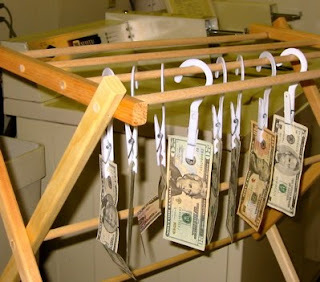 I reckon it's a big money laundering operation for some shady gun-runners! Or something. But seriously, running a TV network with 9 24 hour channels (ok MBC + Drama is a subscription channel available via Showtime) costs some serious cash - why would that much cash be burned up? Just as an off-shoot to this blog, I thought I'd just talk briefly about what is going on with English Language TV here in the middle east. There were, until very recently, 2 major English-language pay-tv subscription services - Orbit, and Showtime. Showtime have recently bought-out Orbit, and thus now have a monopoly on English-Language subscription services in the Middle East. So, as you can see, if you are only reasonably interested in watching TV, there are plenty of free channels available out there that do not need a Showtime subscription (which is about US $50/month for the top tier). But, coming back to MBC. How exactly are they making any money on this network? Do they even have a marketing team in place? And what has happened to Dubai Sports 2???? I can't find it on my new showtime / orbit box!!! The Arabic MBC channel (MBC 1) is one of the Arabic channels with the most ads. But I'm not sure if MBC1's ads would be enough to run all the other channels. yeah - MBC 4 has ads..... advertising their own programs - ie internal advertising - but no actual products seem to get advertised on the channel. Channel only operates 12hrs of programmes and over the next 12 hrs they replay the shows (to suit arab viewers since all their shows are on uk timing!